How many are sealed from each tribe of Israel before the Great Tribulation? 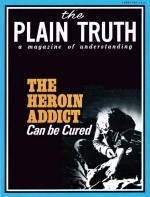 The tragedy of drug addiction CAN be solved. Thousands of former heroin addicts are turning to a better "high" - through a new lifestyle. "Former" heroin addicts are still a rarity today. Most who take up the needle die by the needle. Life expectancy for young heroin addicts is a mere 30 years. But in the last five years, the number of successfully rehabilitated addicts has dramatically increased. In dozens of mini-societies and "communiversities" across the United States, a dedicated cadre of ex-addicts is in the business of making other junkies into ex-addicts as well. And they're succeeding – where established institutions have failed.